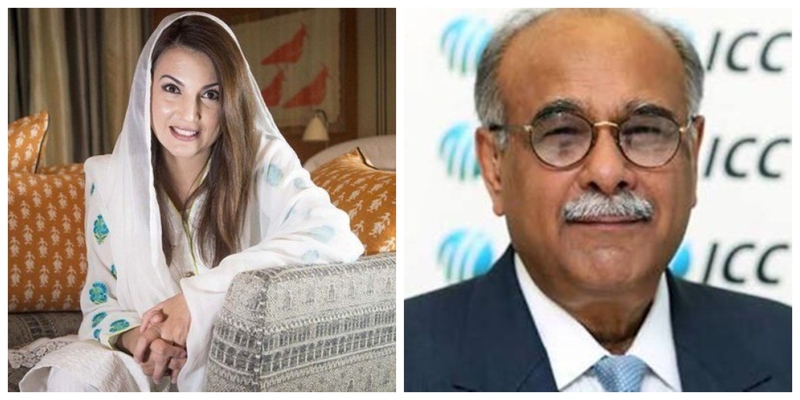 Reham Khan, the former wife of prime minister-in-waiting Imran Khan, has “advised” Pakistan Cricket Board (PCB) Chairman Najam Sethi to be petrified as her next book will have his “qisa”. Sethi and Reham exchanged tweets on Tuesday after a Twitter user claimed that the PCB chairman was behind Reham Khan’s first book which mainly targeted Imran Khan. In reply to Reham’s tweet, Sethi, in rather a humorous way, said: “The truth probably is that we are BOTH petrified of YOU! [Have a sense of humour!]”. To this, Reham “advised” the PCB chief “to be petrified”,”You are well advised to be petrified. Brace yourself the next book will include your qisa”. You are well advised to be petrified. Sethi replied to this “advice” asking, “Why am I going to be punished? I haven’t done anything”.